It’s the return of my Pineapple shirt. 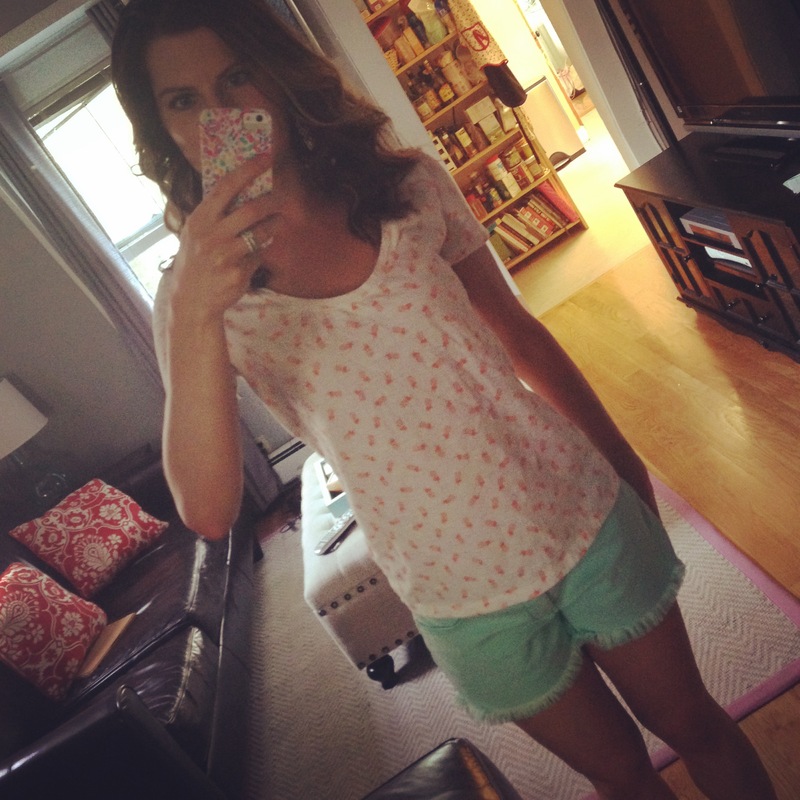 I paired it with some BLANK NYC cutoff jean shorts for a very summery look this past July. I have to say that these shorts are super comfortable and I would definitely recommend them to anyone looking for shorts that won’t stick to your legs too tightly.